It's been four years since seventeen-year-old Mitchell Johnson was hit by a bus and inexplicably ended up in the Underworld. Hell is miserable, but Mitchell knows things could be worse. 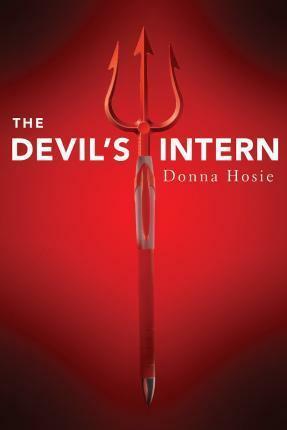 After all, he has the coveted job of The Devil's intern--plus three close friends who keep him from dwelling too much on his untimely demise. Still, he'd rather be living. So when Mitchell discovers that his boss is in possession of a legendary time-travel mechanism called a Viciseometer, he starts forming a plan. With a device like that, Mitchell realizes, he could escape Hell, revisit his death, and prevent it altogether. Getting his hands on the device turns out to be easy. But preventing his friends from accompanying him--and protecting them from whatever it is that's stalking them through time--is going to be impossible. Donna Hosie is a full-time geek who fell into writing while working as a Warner Brothers fan consultant on movie tie-in video games. Writing reports about different characters and worlds eventually inspired her to create her own stories for young adults. Originally from England, Donna now lives in Australia with her husband, three children, and a crazy golden retriever named Harry (after a certain boy wizard).